Use the following videos to reflect on the life, sacrifice, death, and resurrection of Jesus Christ during the lenten season. 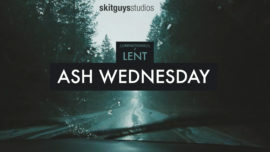 The 9 stunning videos in the Psalms for Lent III collection invite people to focus on God during the five weeks of Lent, as well as Ash Wednesday, Palm Sunday, Good Friday, and Easter Sunday. Each video explores a Psalm and will help prepare people’s hearts for Easter. Psalm 91: Based on Psalm 91, this call to worship reminds us that God is our protector and our salvation. 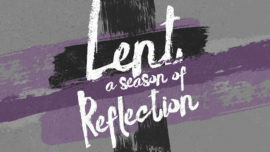 You can also purchase this video in the Psalms for Lent III collection, Week 1. Psalm 27: Based on Psalm 27, this call to worship reflects on God as our shelter, reminding us that we don’t need to fear because we can be confident in His protection. 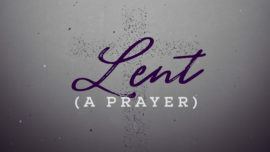 You can also purchase this video in the Psalms for Lent III collection, Week 2. Psalm 63: Based on Psalm 63, this call to worship invites us to praise and worship God. We’re reminded that He is our Deliverer. You can also purchase this video in the Psalms for Lent III collection, Week 3. Psalm 32: Based on Psalm 32, this call to worship reminds us that we are blessed because God forgives us when we confess our sins. 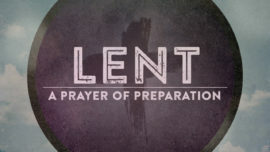 You can also purchase this video in the Psalms for Lent III collection, Week 4. Psalm 126: Based on Psalm 126, this call to worship celebrates the fact that God restores His people and brings joy after trials and tribulations. You can also purchase this video in the Psalms for Lent III collection, Week 5. Psalm 51: Based on Psalm 51, this call to worship invites us to confess our wrongdoings to God and trust that He will wash us clean. This video is also ideal for Ash Wednesday and can be purchased in the Psalms for Lent III collection, Ash Wednesday. Palm Sunday Psalm 118: 1-2, 19-29 Based on Psalm 118, this call to worship celebrates all that God has done, and calls us to praise and thank Him. You can also purchase this video in the Psalms for Lent III collection for use on Palm Sunday. Psalm 22: Based on Psalm 22, this call to worship invites us to join the Psalmist and cry out to God for salvation and deliverance. You can also purchase this video in the Psalms for Lent III collection. for use on Good Friday. 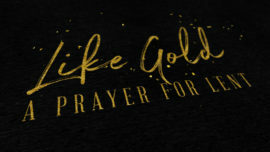 Easter Sunday Psalm 118: 1-2, 14-24 Based on Psalm 118, this call to worship invites us to give thanks and praise to God for His love and deliverance. You can also purchase this video in the Psalms for Lent III collection to celebrate Easter Sunday. 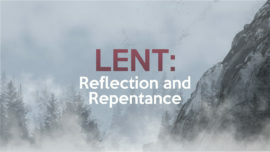 Lent is a time of reflection and repentance. A time to confess our sins and ask God to forgive us, purify us and refine us. It’s a time to remember all Jesus has done and all He endured to bring us grace. 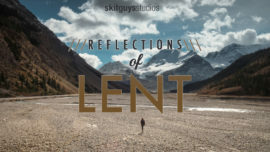 Based on Joel 2:12-13, this mini-movie will encourage your congregation to return to the Lord with reflection and repentance, during the season of Lent. Our Heavenly Father is merciful and compassionate. During Lent, we should come to the Lord in the same way Jesus did in the Garden, with fasting and weeping. During Lent, we remember His sacrifice and give back, because He gave all. A prayer to God to strengthen and renew us in mind, body, and spirit, and to use our prayer, fasting, and confession to prepare us to celebrate the resurrection of Jesus on Easter Sunday. Great for Ash Wednesday or any service during Lent. Be sure to check out the coordinating collection "Service Pack: Lent Vol. 1"
The Lenten Prayer of St. Ephrem has been prayed by the Christian church since it was written in the 4th Century. This collection contains two video versions of that prayer: the original text, as well as an updated modern version inspired by it. It also includes a PDF you can print out for use as bulletin inserts. This is a perfect addition to any service during the Lent season. 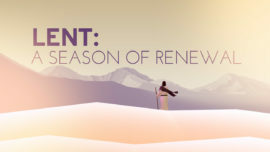 Inspired by the Psalms of King David, this series of 9 reflective videos will prepare your congregation for worship during the season of Lent. Use as a call worship, sermon intro, worship reflection, or during any transition time that suits your worship service. Includes versions with text and without text. Eight captivating videos rooted in the Psalms help bring people's focus to God and prepare their hearts for Easter. Includes specific videos for Ash Wednesday, Palm Sunday, and Easter Sunday.